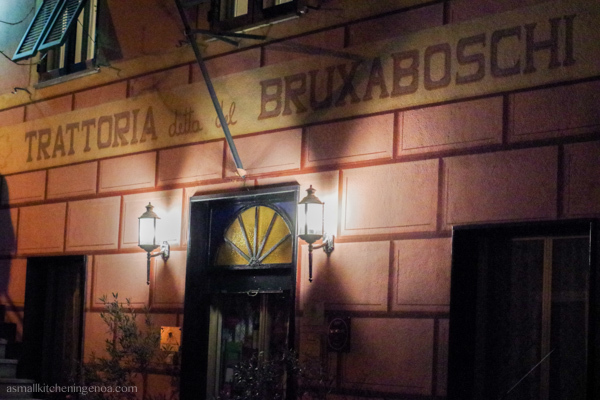 Every Genoese at least once in his life had dinner at the old “Trattoria detta del (said of) Bruxaboschi”. It is reported that also Giuseppe Mazzini, one of the most important leaders and politicians of the Italian Risorgimento dined there. 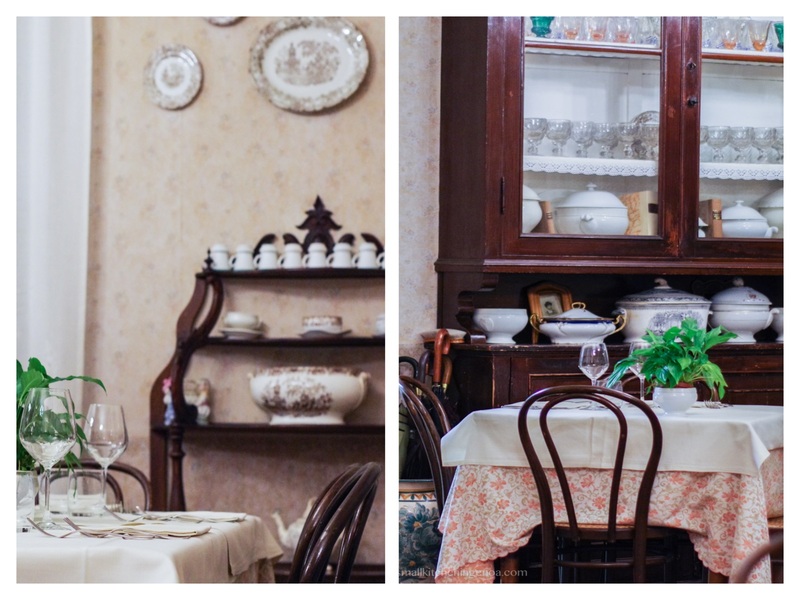 A trattoria backdating to the unification of Italy, then, which for its long history was included at the end of last year among the official list of Genoa old shops. 1. (and shall remain the first) for the cuisine. Genoese traditional cooking, the real one, that of my grandma and of all the Genoese grandmas. 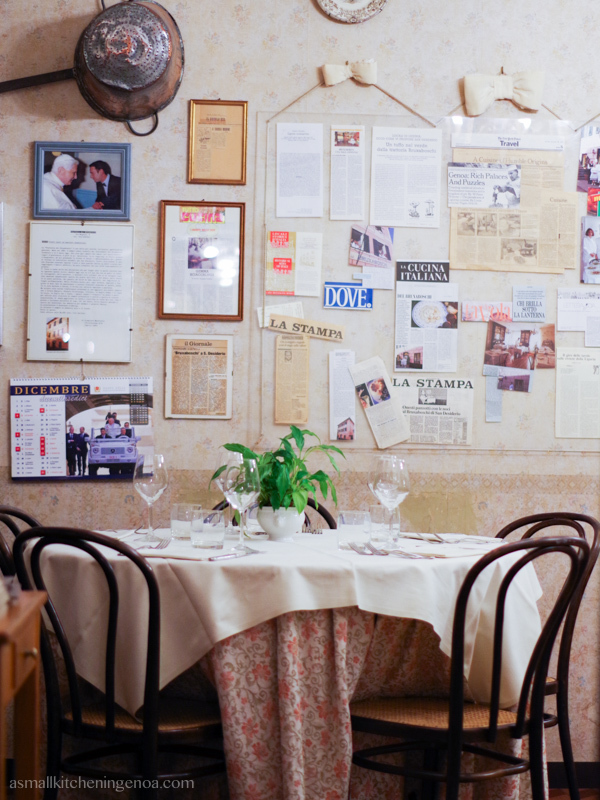 When a Genoese dine at Bruxaboschi he tastes the plates with his eyes closed in search of that distant memory of a Sunday lunch with the entire family. 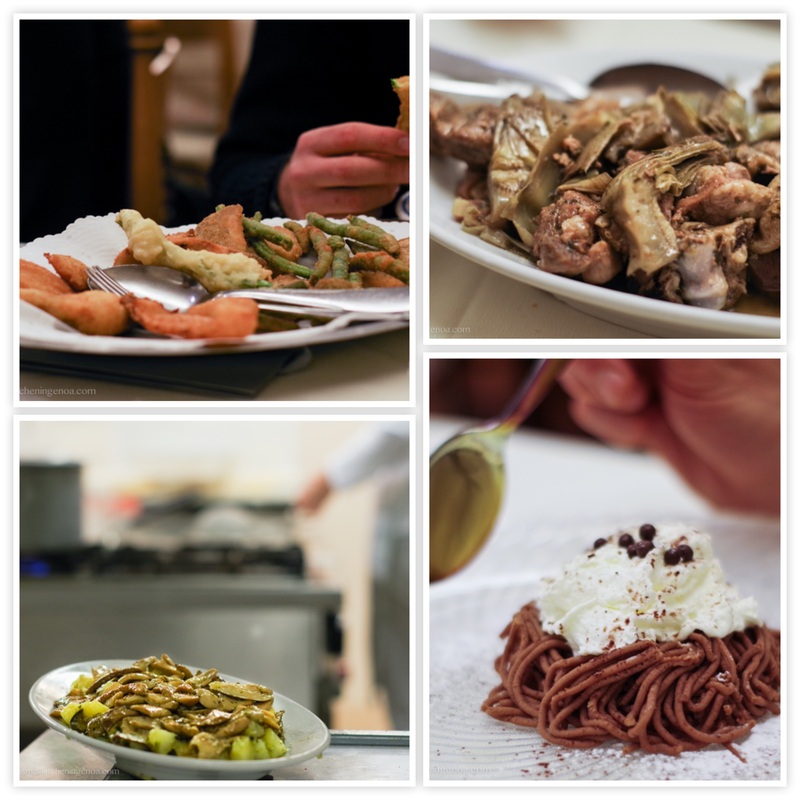 Lettuce rolls, tomaxelle (veil rolls), mixed Genoese fry-up, lamb with artichokes, tagliolini with hare sauce, stockfish with potatoes. 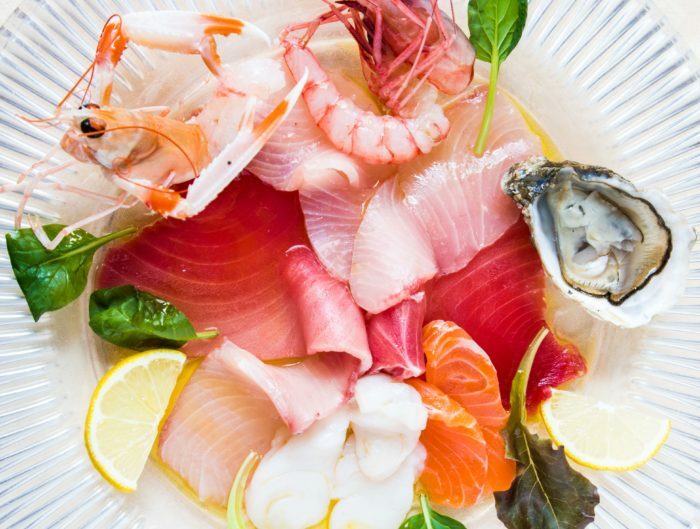 Raw materials are of first quality, seasonal, local. As it was in the past, though, but without all the hassle of these days. 2. For the location, because you feel at home (a real Genoese home, no shabby-chic effect). Old cupboards of dark wood with pristine glass windows hiding glasses of different size, rounded tureen (absolutely my favourite piece of the china set) placed everywhere and decorated plates on the walls. Ancient marble mortars and copper pans to complete the interior design. In the wintertime a fireplace warms the ambient, in the hotter season old trees cast their shadows on a wide terrace. 3. For the people who manage the restaurant: kind, caring, sober and elegant. The only minor fly in the ointment: it’s not in the city centre but in the ancient village of San Desiderio, a small cosy location in the east-backcountry of Genova. Not that far – 30 minutes – but you need a car (GPS device highly suggested) or to take a cab (ab. 30-40 Euros one way). The trip, in a narrow valley surrounded by trees, is really pleasant and by the way it’s really worth it! Tuesday: 8:00 – 10:30 p.m.
Wednesday: 8:00 – 10.30 p.m.
Thursday: 8:00 – 10.30 p.m.
Friday: 8:00 – 10.30 p.m.
Saturday: 12.30 a.m – 2.30 p.m and 8:00 – 10.30 p.m.
From Tuesday to Friday the kitchen is open at lunch on request. I believe that there are restaurants, places, products and stories worth telling.